t the farewell dinner in Tel Aviv on the last night of our ten day Birthright Israel Amazing Israel Ramah Tikvah trip, we went around the table sharing memories and trip highlights. The 21 participants with intellectual and developmental disabilities, and the six staff members, representing five Ramah Tikvah Programs and twelve states—from Wisconsin to Alabama—spoke enthusiastically about the jeep ride on the Golan Heights, the de Karina chocolate making workshop at Kibbutz EIn Zivan, the Night Spectacular Sound and Light show at the Tower of David in Jerusalem, the Biblical Zoo, the view of Syria from Golan, Masada, the Dead Sea, the Kotel, and shwarma! The participants then asked for my highlight. It didn’t take long for me to share my answer, though my highlight was so much more than a place. 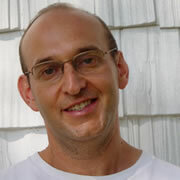 “Tefillot and your knowledge of Israel and Judaism,” I replied, as the group asked for clarification. The participants got up early to sing and dance and share this meaningful experience with camp friends—all before eating a sumptuous hotel or kibbutz guest house breakfast. Alexa sat in the back of the room, or at the front of the group, using Hebrew sign language to sign each acrostic prayer—Ashrei, El Baruch and El Adon. 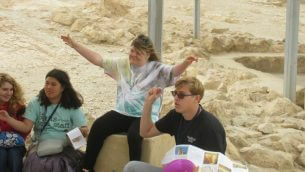 She was happy to teach her friends Hebrew the sign language she learned at Camp Ramah in New England. The California Ramah group recruited their friends to come up and lead the Shema and VeAhavta—making sure all eight members of the camp in Ojai, California were there. 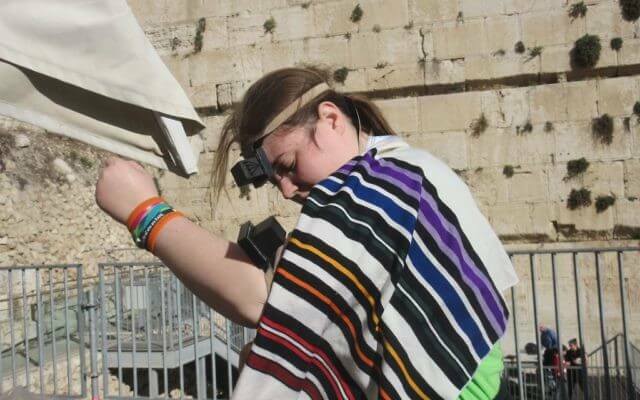 Maddy, a female participant from Camp Ramah in Wisconsin, wanted to make sure she would have an opportunity to put on family heirloom tefillin—at the Kotel. 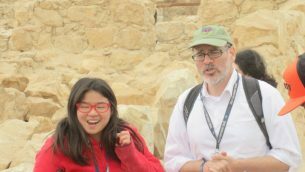 We excused ourselves from the group’s tour of the Jerusalem Archaeological Park-Davidson Center, found a special spot, and had a few moments of special prayer, wrapped in tefillin. The participants from the various Ramah Tikvah Programs felt a sense of connection to their fellow campers. They enjoyed the predictability of the daily prayer ritual. And they looked forward to thanking God each day for the many gifts they have received. Isn’t that what prayer is all about? Maddy asked me before the trip if she could lead birkat hamazone on Shabbat and we had a few takers for kiddush and hamotzi as well. Our tour educator, Doron, an observant Jew himself, was blown away, observing that this knowledge of and enthusiasm for prayer was not typical of most Birthright trips, or any Israel trip for that matter. He was also impressed with their level of knowledge about Israel and Judaism in general. When Henry offered a scholarly explanation at Tel Dan in the north to a question about Israel’s water issues, Doron calmly removed his tour guide license from around his neck and placed it on Henry. “You are our tour guide now!” Henry was so excited, sharing his YouTube video acquired knowledge about drip irrigation and desalinization. Doron used this “trick” on several occasions, rewarding participants particularly knowledgeable about the Old City of Jerusalem, Masada and more with the tour guide’s license. In the Israel Museum, participants found many objects and exhibits to be familiar—including tefillin, chuppah, matzah baking, Chanukah menorahs and the three fully reconstructed synagogues. In the north, at the Mishnaic village of Kfar Kedem, the lovely guide thought he would be introducing the group to pita making on a taboon (outdoor oven)—like he has done for years with so many tour groups. For this group, pita making was nothing new. Our Ramah camps each bring 40 or 50 shlichim (Israeli emissaries) to camp each summer. 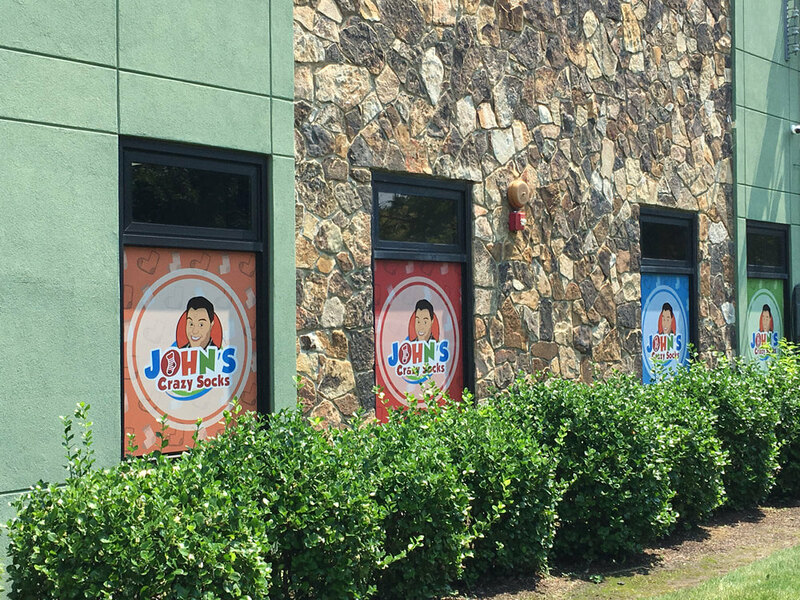 Our campers have been making pitot and eating fresh chumous for years! 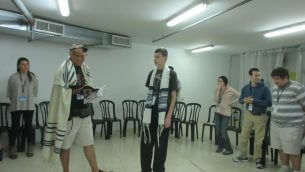 Our ten day Israel trip was fun and educational for the participants. 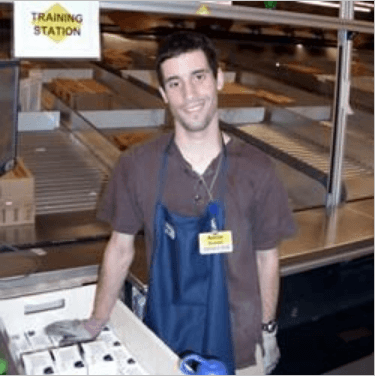 I too, learned a valuable lesson which we in the Jewish community should take to heart—and fund accordingly: people with disabilities are very capable of connecting in a meaningful way with Jewish ritual, practice, and knowledge, and with Israel. When our summer camps, synagogues, youth groups, schools, communities and Israel trips open their doors to include everyone, the payoff is as clear as the beautiful sky we saw from Jaffa on the last night of our trip of a lifetime.